It's common courtesy, folks. You are not excused. There are a lot of bad people in the world. Always have been. Always will be. Who you consider a bad person depends entirely on your perspective, but only up to a point. I think we can all agree that one type of person is worse than most others. That’s right, I’m talking about people who board an elevator before allowing the people inside to exit. What on earth makes someone think it’s at all acceptable to barge into a confined space before others are extended the courtesy of being able to remove themselves from that environment? Did they have an inadequate upbringing? Do they feel as if they’re more important than others? Is there some sort of mental defect that leads them to believe the sooner they get on and press their floor button, they will get to their destination quicker, as if people still don’t have to walk off? 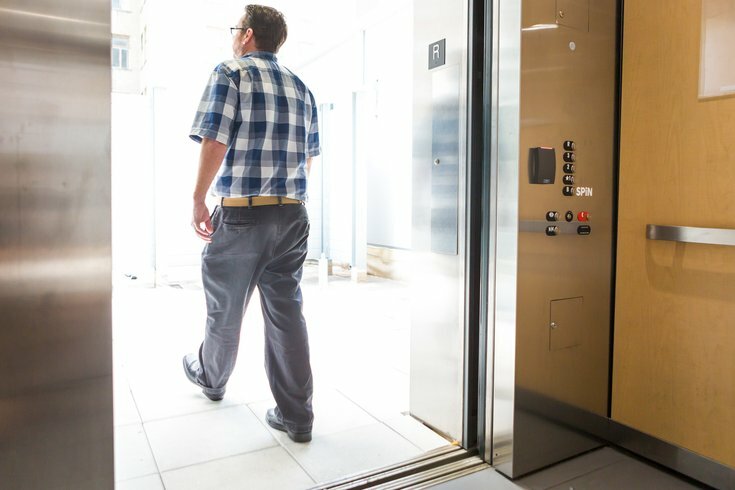 I don’t often rely on whatever WikiHow is for etiquette tips, but on its "How to Practice Good Elevator Etiquette" post, it lists “Don't board the elevator until everyone has gotten off” AS PART OF ITS FIRST SUGGESTION. THIS IS WRITTEN IN A LANGUAGE BASIC ENOUGH FOR CHILDREN TO UNDERSTAND. Why is this increasingly difficult for people to understand? An elevator is often occupied when it opens. If you wait A MATTER OF SECONDS, space will open up. This is better than forcing your way into others’ personal space. By boarding an elevator before extending a minimal level of common courtesy, you invite the negative – and accurate – judgment of others unto yourself and your entire bloodline. You sicken me and others. Quite frankly, I’m surprised we haven’t read about brawls over this akin to people stealing parking spots. I mean, even SEPTA conductors urge passengers waiting to board a train to let others off first. SEPTA, people. Right now, you’re no better than those miserable urchins who walk to the front of the plane before people in the rows in front of them can get their carry-on items from the overhead bins. You are the modern-day equivalent of Billy Zane's character Cal Hockley in the movie "Titanic," you know, the one who finagles his way onto a lifeboat by swiping a child who isn't his instead of waiting for the women and children to be saved. For the love of Christ, please stop this retched behavior.